You can easily detect major structural problems when you have cracked or bowed walls, sloping floors, settling or sinking foundations, basement flooding or problems opening and closing doors & windows. Crack repairs by excavation with polyurethane injection is the best method and the least expensive for repairing cracks for poured concrete walls or block walls. It will prevent water from passing through, especially when a dimpled membrane is installed. We are equipped to cut concrete for new windows installation or completely block an old door way with proper bracing reinforcement. 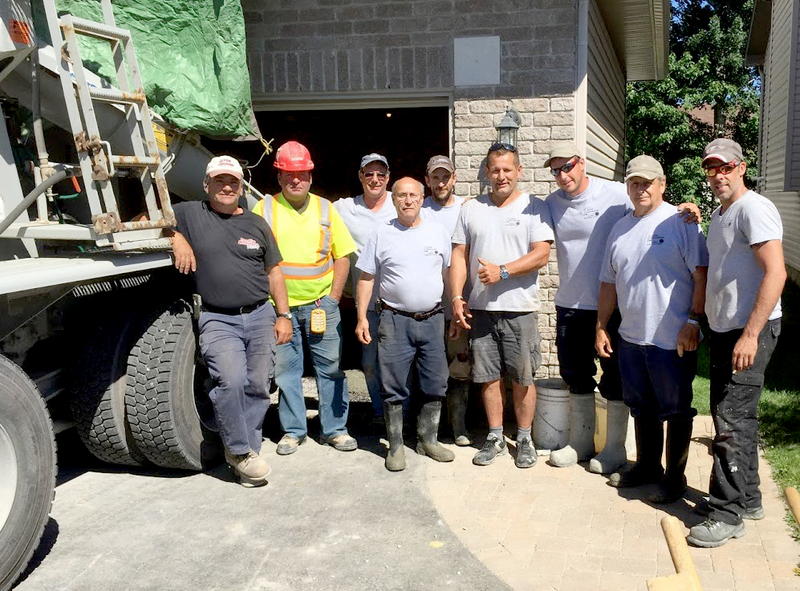 From cement parging and restoration to lifting or replacing foundations, Action Restoration is a certified trusted leader in structural damage repair in Ottawa since 1996. We can also raise your house to improve the basement space. Request an estimate and upload your pictures with our submission form. The most common problems found with concrete foundations when it comes to moisture or water leaks are insufficient waterproofing, old window wells, cracked walls or clogged/broken weeping tile. You can detect the signs of excessive moisture when you notice white mineral deposits on concrete walls, stains on basement wall or carpet, rust on electrical equipments or rust showing on the nails of your basement drywall. Waterproofing a foundation is the most important factor for homes and buildings. Polyurethane is used on foundation small cracks inside of the home. This product will fill the space gaps and stop water infiltration. Cracks in the foundation may be fixed by an exterior repair method using small or large excavation machinery. Our special membranes and sealers are guaranteed for most fissures. To avoid a health hazard, contact our expert for a free quote at (613) 294-9239. The drainage tile commonly known as the weeping tile receive the water from around the perimeter of the footing of the foundation to an underground water collection, a discharge storm connection or sump pump. With time, the weeping tiles may get crushed are clogged with tree roots. Excavation is required in most cases and can be easily done with our heavy duty equipments. Action Restoration can install the right drains for your house. A healthy drainage tile will properly evacuate the water to the street sewer. Contact us for a free evaluation for the best draining solution. The best way to preserve an heritage home is keeping the basement dry! Often caused by tree roots, chimneys, old bricks and stone walls needs to be maintained or repaired. To avoid expensive damages, have our expert monitor the situation in mid spring or early fall. This preventive maintenance will save you major structural expenses in the future. Our team of trained professionals will assist you in every step of your restoration project. All structural work carries a 10 years warranty. Preserving the integrity of the structure is the most important element of your building. Action Restoration is certified by the OCA, rated A+ by the Better Business Bureau (BBB) and fully insured for structural repairs and product liabilities. After 20 years of experience, Action Restoration best advice : "Take the time to select a trusted contractor for your heritage home, inquire about their reputation and references and ask questions". You can reach us anytime at (613) 294-9239, actionrest@yahoo.ca or with Facebook. Get your free estimate now! High quality workmanship, satisfaction guaranteed and affordable prices make ActionRest.ca your perfect contractor for small and big jobs. House Underpinning Aylmer Ottawa Action Restoration from YourVideo on Vimeo.